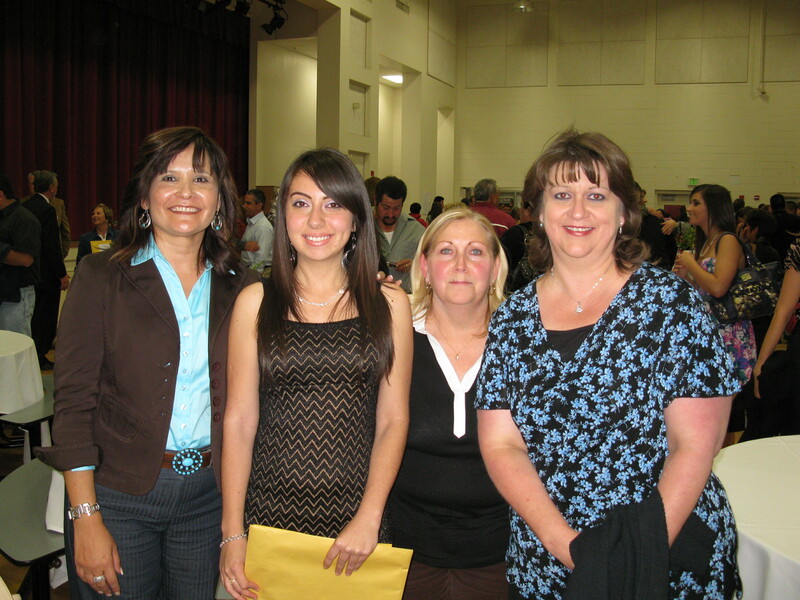 This year we gave out our first scholarship to a high school senior. We got a committee together of three women and had two meetings. One to determine the criteria for the scholarship and one to read the applicant’s essays. We three unanimously choose one girl whose letter touched our hearts. Then the three of us arrived at the high school last Monday night and walked up to the microphone and nervously presented our first annual scholarship. We were so excited! Our winner is Damaris Raluy and I wanted to share our picture with her. Our Pastor challenged us with a question several years ago. He said, “Do you want to be a small part of something big or a big part of something small?” We all unquestionably answered that we wanted to be a small part of something big. Here is the women’s ministry of our church’s response to that call. Here is a small seed into the education of a young woman, which is a big thing! Praise you Lord that I stand beside these two mighty women of God and together we made a small thing happen that we pray will reap big results. Congratulations Damaris! We will pray diligently for your success! This is awesome!! I am proud to say” This is my Pastor and sisters in Christ.” They are making a difference in the community and have touched someones life in a way that she will probably always remember and tell her children ” I remember my first scholarship.” May your lights continue to shine so others can see the love of God! You all look beautiful and happy!